Cole by Tijan is part of a Mafia Mob series by the author Tijan. I always love a good mafia romance and I have been seeing this authors books around quite a bit lately so I thought I would pick this author up and I am so happy that I grabbed this book and had such a fun time with this book and boy was this book such a SURPRISE. 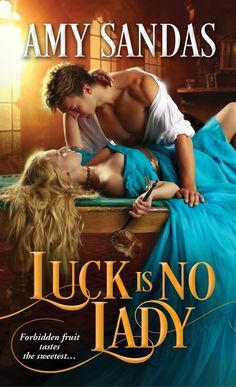 What I was really shocked about was two levels: how lighter the mafia element was (which was not a bad thing) and the sexual heat between the couple was less steamy than I was expecting, much more alike historical romances than most contemporary romance. Not that its a negative aspect, the chemistry is written very well and love seeing an author handle chemistry so well without having super explicit scenes. Our story “Cole” begins with out heroine, Addison who has been a widow for a year when her husband Liam was killed in a car accident. Addison has been slowly grieving for her husband and is just starting to get back to living again. Addison decides to take a chance in using the money her husband left her, money she has hardly touched, to take a risk and live in a apartment complex that would be a sanctuary for her. As Addison starts to begin a fresh start, she meets a man while out on a run on the track in her new building, There is a stunning bond that forms between them, but Cole is a mystery and she knows there is much more to him than meets the eye and when she learns the truth she will have to make a difficult decision, be a part of Cole’s life and face the dangers or give him up forever…. He was perfect. There were no other words. He could’ve been a weapon himself, just his body. Cole was such a powerfully impacting romance that I instantly fell in love with and I had such a blast with this book. As my first introduction into this author’s work, this was a great book to get started with her and now I can’t wait to delve into this mafia world that this author has created. I love mafia romances that are set up like this one, not super dark, and I think most romance readers (even if you aren’t a fan of dark romance) could definitely get a kick out of this book. I was so drawn into this couple and their stunning connection that they have together and another plus is that this book is highly engaging and the type of story that will keep you up all night in reading it…because it did that for me. I just didn’t want to put their story down because I loved the intrigue, the dangers, the sensuality and the intense emotion that is portrayed throughout the story, from beginning to end I was enchanted by this book. I really adored both of these characters and seeing how much they truly help balance each other out. How they are both full of flaws, still struggling with their grieving of family and trying to make a new life for themselves. Our hero Cole has some big demons in his past from losing his whole family to a rival mafia. And he is the only living survivor and has returned and what is so intriguing about Cole is how much he is intune with his heart and his own emotions and desires. He knows what love is and is willing to fight for it and risk everything for Addison. Our delightful romance in Cole is a exhiliarating romance that stuns the reader in the big and small moments, the unique dynamics of a love tale that tugs at your heartstrings and bound to keep the reader captivated! A WORK OF ART!